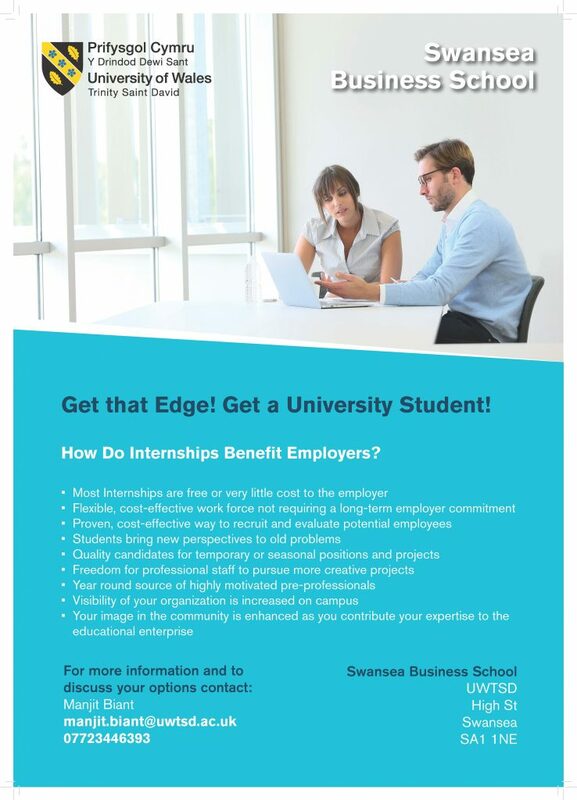 For Swansea Business School, employability is the key focus, where they take an applied, employment-based approach to all their programmes. At Swansea Business School you will experience innovative student-led approaches to learning delivered by professionals and academics who all have experience in industry. Swansea Business School understand the real world. All undergraduate students will work with an employer to gain practical real-world work experience. They see this as critical for you to understand the relationship of theory into practice. All of the courses are designed to instil in graduates, the attributes desired by employers, e.g. innovation, creativity, an enterprising mindset and responsiveness to unexpected events or tasks. They offer extensive support to those who need it and ‘stretch’ activities for those who want to be challenged further. Q How may I book an open day? Q What are the dates the open days held on ?